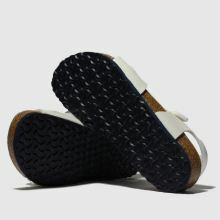 Reminding us of summer's spent at the seaside, this slick kids' sandal lands fresh from Birkenstock. 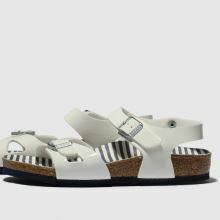 The iconic Rio is crafted with fresh white foot and ankle straps while branded buckles adorn. A navy and white striped insole completes the profile.